The Keydet, named for the mascot of Virginia Military Institute (VMI), is fondly in memory of G. W. Effinger Herring, father of the current innkeeper, a Class of 1938 graduate of the institute. This served as his room in later years. Decorated in school colors, red, white and yellow, the Keydet displays a sprinkling of VMI memorabilia, including a large handmade antique quilt in the Courthouse Steps Pattern, proudly made by Herring ancestors out of VMI dress uniform cape pieces. It is quite a treasure. The Keydet boasts an antique high backed walnut queen size bed, original to the Herring family. One is sure to enjoy the comfy memory foam mattress. 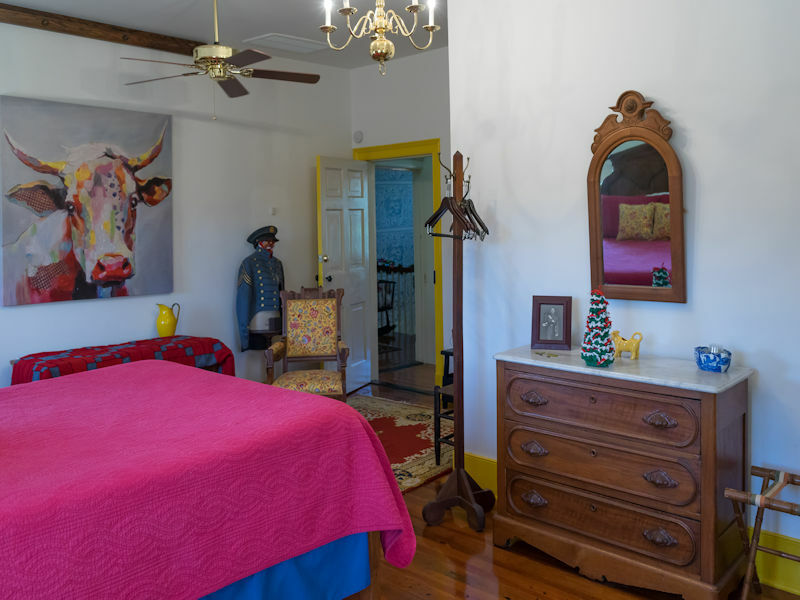 In this cheery room you will find a collection of VMI Wedgewood plates, proudly on display, along with a tasteful blend of other family antiques and traditional furnishings. 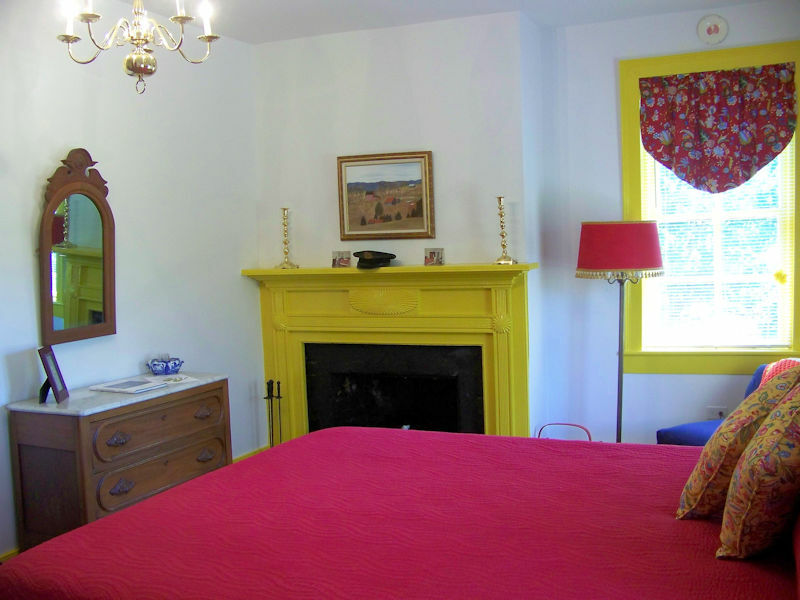 The Keydet has a beautiful fireplace, decorative only for now, with the original hand carved mantle. The original clawfoot bathtub is still in the private bath of the Keydet, though a shower has been added for guest comfort. 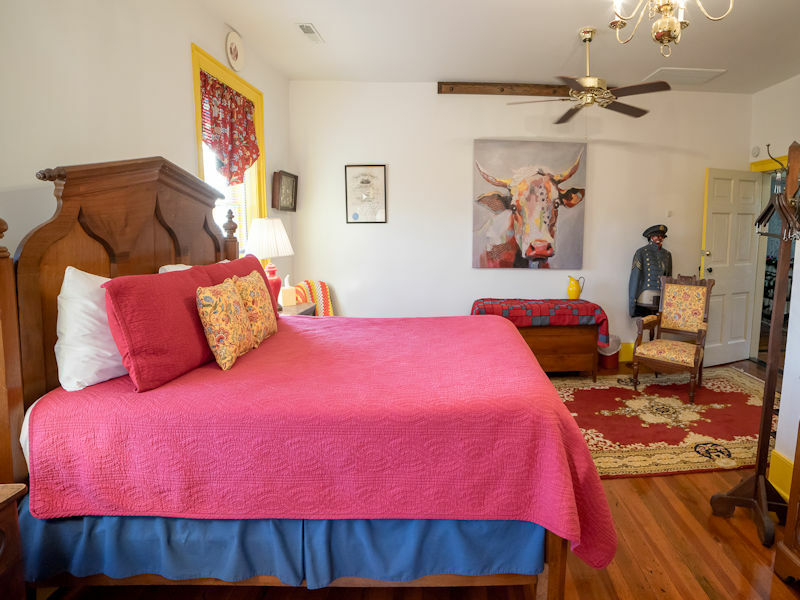 The Keydet and the adjoining Bright Bovine can be reserved together for a two room suite.